For me it is not just wrong but it is innacceptable. 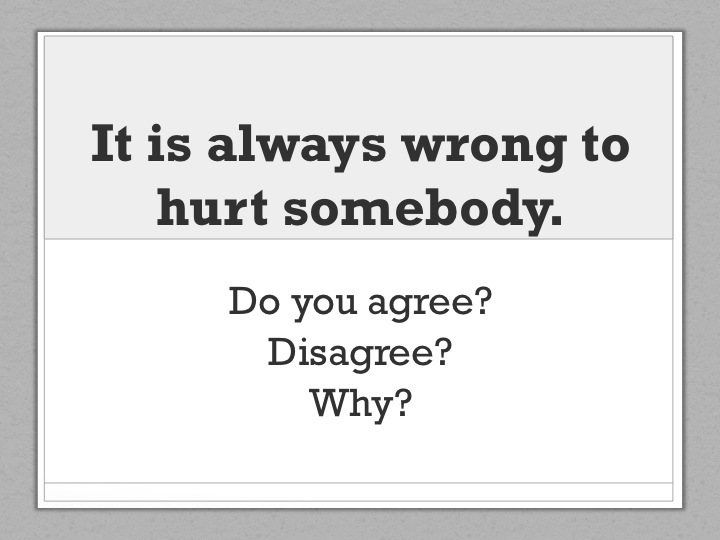 Hurting somebody is really bad my mum always talks about this and remind me to be careful in my behaviour with others . I also agree with Wiissam. Hurting someone is never okay. If the person was you I bet you wouldn’t be happy so why hurt them? i disaggre because someone will really annoy them and i mean really annoy! they will get on your nerves!!!! I agree with Tianna because it really leaves it to consequences and they will get hurt badly. I agree with Wissam ,my mum always tells me to be kind to people ,never hurt them or hurt their feelings.Think about how you would feel if it happened to you.